Ginosar is a kibbutz in the Plain of Ginosar on the western shore of the Sea of Galilee in Israel. Start off your visit on the 2nd (Tue): contemplate the long history of Mount of Beatitudes, take in the architecture and atmosphere at Church of Mount of Beatitudes, and then delve into the distant past at Magdala. To find more things to do, maps, where to stay, and more tourist information, read our Ginosar trip planner. Denver, USA to Ginosar is an approximately 20.5-hour flight. The time zone difference moving from Mountain Standard Time (MST) to Israel Standard Time (IST) is 9 hours. While traveling from Denver, expect a bit warmer days and much warmer nights in Ginosar, ranging from highs of 75°F to lows of 61°F. Finish your sightseeing early on the 3rd (Wed) to allow enough time to travel to Haifa. A picturesque city in the north of the country, Haifa combines history and appearances to create an interesting and relaxing destination. Step off the beaten path and head to Crusader Fortress and Megiddo National Park. Satisfy your inner culture vulture at Sea of Galilee and The Church of the Annunciation. Explore Haifa's surroundings by going to Nazareth (International Center Mary of Nazareth, St. Gabriel's Church, & more) and Tiberias (in Tiberias). 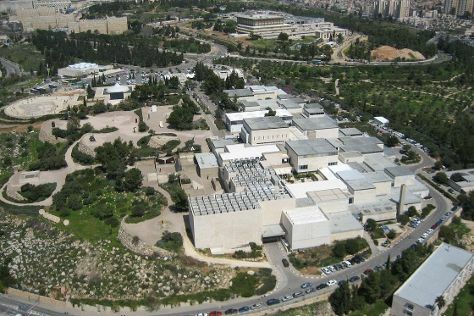 There's lots more to do: contemplate in the serene atmosphere at Bahai Gardens and Shrine, contemplate the long history of Beit Shearim, admire the natural beauty at Baha'i Gardens and Golden Dome, and get curious at Mada Tech - The Israel National Museum Of Science. To see more things to do, traveler tips, where to stay, and more tourist information, read Haifa online trip itinerary maker . Getting from Ginosar to Haifa by car takes about an hour. In April in Haifa, expect temperatures between 75°F during the day and 61°F at night. Wrap up your sightseeing on the 6th (Sat) to allow time to travel to Eilat. At the northern extreme of the Red Sea sits Eilat, a resort town popular with domestic and international tourists. You'll discover tucked-away gems like Eilat Action and Adrenaline & Extreme Tours. Step out of the city life by going to Red Canyon and Princess Beach. There's much more to do: explore the gorgeous colors at Dolphin Reef, get your game on at Darkness - Israel's Biggest Haunted House, get to know the fascinating history of Botanical Garden Of Eilat, and stroll through Dekel Beach Eilat. To see where to stay, other places to visit, maps, and more tourist information, read Eilat trip website . You can do a combination of train and flight from Haifa to Eilat in 3 hours. Alternatively, you can take a bus; or do a combination of train and bus. Expect somewhat warmer temperatures when traveling from Haifa in April; daily highs in Eilat reach 90°F and lows reach 67°F. 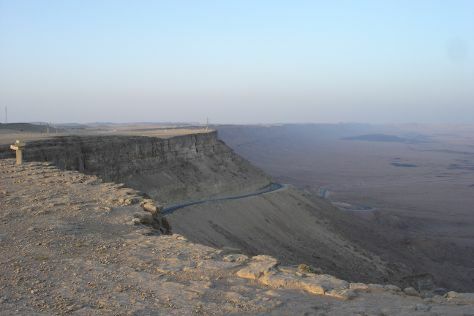 Wrap up your sightseeing on the 10th (Wed) early enough to drive to Mitspe Ramon. Founded in 1951, the small desert town of Mitspe Ramon overlooks the Ramon Crater, a massive 40 km (24 mi) long dip in the Negev desert, created by erosion and notable for its interesting rock formations. Start off your visit on the 11th (Thu): take in breathtaking views at Avdat National Park, steep yourself in history at Incense Route - Desert Cities in the Negev, and then head outdoors with Outdoor Activities. Keep things going the next day: see the interesting displays at Arava Vidor Center, then revel in the low prices at Faran Natural Cosmetic, then take in the dramatic natural features at Ramon Crater, and finally explore the ancient world of Nabatean Avdat Acropolis. Ask Inspirock to suggest an itinerary and make planning a trip to Mitspe Ramon fast, fun, and easy. Traveling by car from Eilat to Mitspe Ramon takes 2.5 hours. Alternatively, you can take a bus. When traveling from Eilat in April, plan for a bit cooler days in Mitspe Ramon, with highs around 81°F, while nights are about the same with lows around 64°F. Finish your sightseeing early on the 12th (Fri) so you can drive to Arad. Arad is a city in the Southern District of Israel. 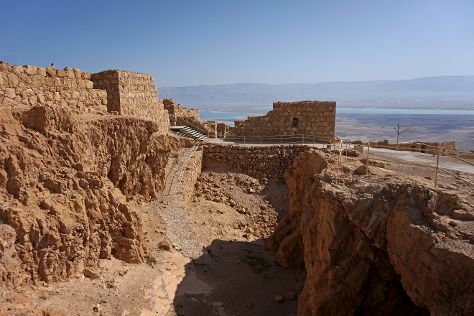 Start off your visit on the 13th (Sat): appreciate the extensive heritage of Masada National Park, then explore the ancient world of Herod's Western Palace, and then admire the landmark architecture of Masada Fortress. Get ready for a full day of sightseeing on the next day: browse the exhibits of Arad Contemporary Art Center, then tour the pleasant surroundings at Ein Bokek Beach, then look for all kinds of wild species at En Gedi Nature Reserve, and finally contemplate the long history of The Masada Museum. For other places to visit, reviews, photos, and other tourist information, use the Arad travel itinerary planner . Traveling by car from Mitspe Ramon to Arad takes 1.5 hours. Alternatively, you can take a bus. Cap off your sightseeing on the 14th (Sun) early enough to catcht the bus to Jerusalem. Few places in the world boast such a long history and such a rich multiethnic culture as Jerusalem, a city sacred to Jews, Muslims, and Christians. Do some cultural sightseeing at Israel Museum and Yad Vashem - The World Holocaust Remembrance Center. Discover out-of-the-way places like Church of All Nations (Basilica of the Agony) and Dome of the Rock. Venture out of the city with trips to Jaffa Old City (in Jaffa) and Tel Aviv (Yitzhak Rabin Center, Independence Hall Museum, & more). Spend the 19th (Fri) wandering through the wild on a nature and wildlife tour. There's much more to do: explore the ancient world of Western Wall, admire the landmark architecture of Church of the Holy Sepulchre, wander the streets of Old City of Jerusalem, and get to know the fascinating history of Ramparts Walk. For more things to do, traveler tips, maps, and tourist information, read Jerusalem online travel route planner . Traveling by bus from Arad to Jerusalem takes 2 hours. In April, plan for daily highs up to 79°F, and evening lows to 57°F. Finish your sightseeing early on the 19th (Fri) to allow enough time to travel back home.